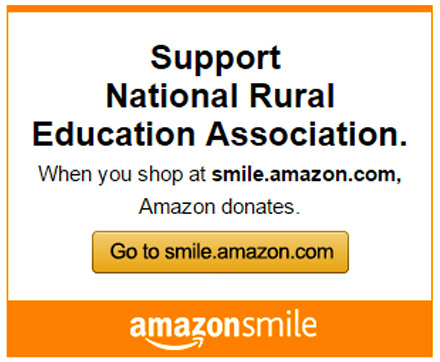 Welcome to the National Rural Education Association (NREA) website. The NREA is the voice of all rural schools and rural communities across the United States. In an increasingly confusing system, we are at your service to help rural educators find and use the resources you need to educate today’s students. Whether you need to know about the current legislation that affects rural communities, have completed important research that needs to be published, or are looking for help with the specific education needs you face within your community, our national organization can help. We are your advocates – your voice – in education. The NREA (National Rural Education Association) was originally founded as the Department of Rural Education in 1907. It is the oldest established national organization of its kind in the United States. Through the years it has evolved as a strong and respected organization of rural school administrators, teachers, board members, regional service agency personnel, researchers, business and industry representatives, and others interested in maintaining the vitality of rural school systems across the country. Please visit our website often, and let us be your voice in education. Battelle for Kids and NREA are looking for dynamic presenters to positively impact attendees by sharing research, stories, resources, and ideas around this year’s theme, Leading Rural Together. 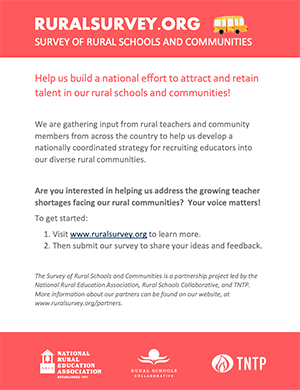 Help us build a national effort to attract and retain talent in our rural schools and communities!